The time will come for everyone: one way or another, you’ll be ready to exit your business. After devoting years, possibly decades, of blood, sweat and tears into building your company, you might be counting on a payoff. You might be depending on selling your business to fund your retirement. But what if you can’t sell? The irony is that the more personally involved you are in your business, the harder it is to transfer operations to someone else. To maximize your company’s appeal, build a business that can run without you. Running a business on autopilot demands systems, discipline and consistency. Those values are crucial to business success, and they’re often central features of franchise operations. Consider the statistics on business survival. 80-90% of independent businesses fail in five years, whereas 80-90% of franchises are successful five years in. What Do Franchises Have in Common? They’ve had tremendous opportunity to make a lot mistakes and learn from them. If 100 franchise restaurants are pursuing improvement for five years, that’s 500 combined years of experience. Their strength is the combined experience and wisdom of legions of owners and managers, all wrapped up in a network which has honed the art of learning from trial and error, and perfected analyzing and communicating the results. They harness the power of consistency. They have highly developed systems and processes ranging from employee handbooks to accounting templates. These enable them to operate profitably and reliably without the constant presence of ownership. If you plan on exiting your business someday, it’s up to you to multiply its value by building it to operate profitably without your day-to-day engagement. By escaping the routine grind, you’ll free up time and energy to devote to concrete improvements. At the same time, you’ll build a business which is exponentially more attractive to buyers. Franchises provide buyers with a handbook for success. Your handbook for success has to include documented and repeatable systems for every element of your company, from sales and marketing to bookkeeping to inventory to shipping. Every task has to be systemized, every element has to be documented so employees can be trained accordingly. SOPs (Standard Operation Procedures) must clearly explain tasks, and employee manuals must clearly express responsibilities. Without these, consistent training is impossible. Management must also conform to consistent, repeatable, trainable responsibilities and routines. When these systems are successfully established, they’re nearly guaranteed to boost profits and increase efficiency. By documenting your strategies and procedures, you’ll reassure potential buyers that your success can be replicated. Even if you don’t anticipate trying to sell for a few decades, these efforts will pay dividends. When the owner is relieved of daily responsibilities and can focus on big-picture, process-oriented improvements, the possibility for real growth blossoms. Additionally, unexpected circumstances can confront any of us at any time, and having the option to sell your business keeps you flexible. Lastly, by the time many owners are ready to sell, they’re often too burned out to transform their business, so they’re forced to accept a lowball offer, or to shut their doors entirely. Even if you’re convinced your business is one-of-a-kind, embracing a franchise mentality will boost its value and make your exit a financial success. This entry was posted in Selling a Business and tagged business broker minneapolis, business broker Minnesota, business broker st. paul, business broker twin cities, business evaluation, Business for sale in Minnesota, Business for sale in MN., business value, Opportunities In Business, sell my business Minnesota, twin cities area on February 1, 2019 by Bob Griesgraber. Deciding to sell a business is no small beans. It’s a decision a business owner labors over for months or even years before finally pursuing. Whether the owner built the company from the ground up or purchased it from another owner and grew and nurtured it over the years, there are a whole gamut of emotions that come into play. After all, you don’t pour blood, sweat and tears into something and persist through perilous times without becoming emotionally attached to that which you fought so hard for, right? These emotions come into play both in the motivation behind the sale of a business as well as throughout the process. It’s vitally important to anticipate varying emotions while at the same time remaining objective and focused to ensure the best outcome. Whether an owner recognizes it or not, there are three primary factors that drive the sale of a business: timing, health and divorce. Timing: You’ve heard the saying, “Quit while you’re ahead.” Well, that’s precisely what many owners do. Afraid they can’t surpass their best year ever, they decide to sell and end strong. Health: As a human on this planet, each one of us is vulnerable to personal tragedy. Whether it’s the sickness or death of a spouse, family member, friend or co-worker, there are numerous earth-shattering moments that bring close the reality that life is indeed short. It’s often out of this awakening that business owners decide to sell and pursue other dreams or endeavors. Divorce: Whether it’s motivated by the determination of a divorce decree or from a desire to start fresh, divorce is a major factor in the decision to sell a business. In fact, anger and sadness are an important part of life, and new research shows that experiencing and accepting such emotions are vital to our mental health. Attempting to suppress thoughts can backfire and even diminish our sense of contentment. 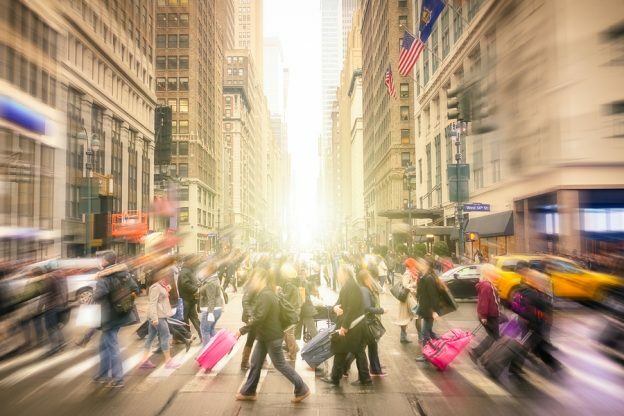 “Acknowledging the complexity of life may be an especially fruitful path to psychological well-being,” says psychologist Jonathan M. Adler of the Franklin W. Olin College of Engineering. Allowing yourself to feel your emotions and to ride the waves they come in on is an important key to mental health and contentment and will serve you well long after your business has changed hands. Be it sadness, anger or a sense of loss, remind yourself that these feelings are all a part of saying goodbye to something you truly cared about. The challenge is maintaining objectivity in your decision-making in the midst of these feelings. Various professionals (accountants, attorneys, brokers) that assist you throughout this process will help you stay focused. 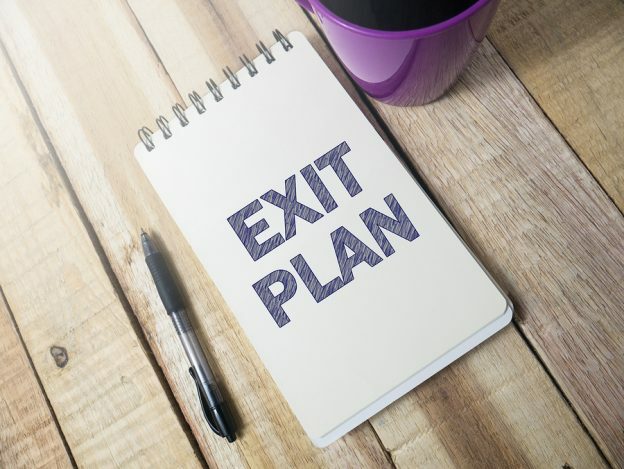 Having an exit strategy in place prior to the sale of your business will also help you to remain objective and keep your emotions in check. Will you stay on as a consultant and help the next owner through his or her transition or will you make a clean break and pursue another business endeavor altogether? Although a business sale can seem lengthy and all-consuming, nothing breeds anxiety like waking up one day and realizing you don’t have a plan. Spend some time discussing your post-sale plan with your spouse, a trusted friend or a professional you respect. Then move forward confidently into the next chapter of your big and beautiful life. If you are thinking about buying or selling a business, we would be happy to connect with you. We can be reached at 612.331.8392 or by email at info@oibmn.com. This entry was posted in Selling a Business and tagged business broker minneapolis, business broker Minnesota, business broker st. paul, business broker twin cities, business evaluation, Business for sale in Minnesota, Business for sale in MN., business value, Opportunities In Business, sell my business Minnesota, twin cities area on December 28, 2018 by Bob Griesgraber. In the mid 1980’s, an enterprising young farmer couple saw a need and capitalized on it. 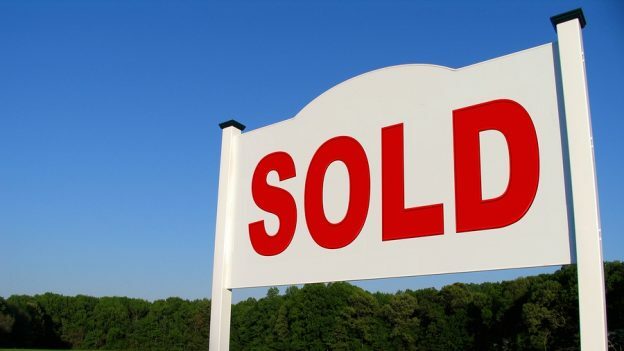 One of the many responsibilities on real estate agents’ plates is signage: putting signs in yards for listings and removing them after closings. This young couple started marketing this signage service for a fee and their business took off. Real estate agents were delighted to financially compensate this couple in order to offload this tedious task. In a short span of time, their business was booming to the point where it was interfering with farming so this couple contacted Opportunities in Business about selling their startup. They sold the business to another farmer who went on to grow it by adding more realtor-oriented services such as storing signage, painting sign posts etc. After a few years, this farmer and second owner decided to sell the business and contacted Opportunities in Business. With the help of OIB, he sold the business for 4x the original sale price. Realizing his passion for buying and selling businesses, the seller then joined the OIB team as an agent. A few years after acquiring the business, this third owner was diagnosed with a serious medical condition and was no longer able to maintain it. He reached out to OIB and together we sold it for double what he bought it for. Opportunities in Business had the privilege of selling this business a fourth time – this time for over 10x the original sales price. By this time, the business enjoyed over 65% of the market share statewide. This is just one of many real life examples of how Opportunities in Business harnesses our experience in real estate to the tremendous benefit of each of our clients. GTA Real Estate Pros created a fast and free process so you can find the best fit quickly. Click on the following and contact Chamberlain Real Estate Group to find the house of your dream. For a dream home in Thailand, you can Buy a Luxury property in Hua Hin that suits your budget. This entry was posted in Selling a Business and tagged business broker minneapolis, business broker Minnesota, business broker st. paul, business broker twin cities, business evaluation, Business for sale in Minnesota, Business for sale in MN., business value, Opportunities In Business, sell my business Minnesota, twin cities area on December 3, 2018 by Bob Griesgraber. While Opportunities in Business usually just helps people sell businesses, we often tell the story of when we helped create one. 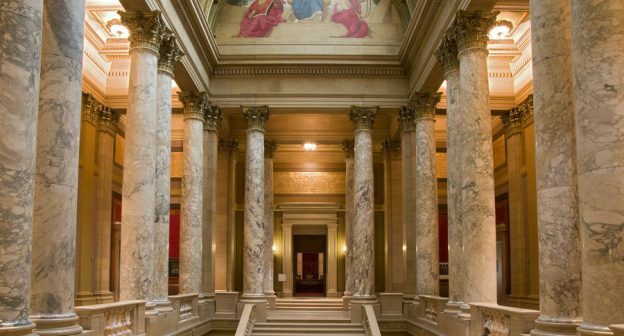 It happened when Bob Griesgraber and Tom Green, owners of OIB, learned of a change taking place at the Minnesota Supreme Court. It was the early 1980’s, before the digital revolution, and like many enterprises the court system generated vast quantities of documents. Some of these papers documented important changes in the law at local, state, and federal levels each year. Historically, the Minnesota Supreme Court administered this information. A team of three employees were in charge of organizing these documents, which they compiled in three-ring binders. The court itself relied on these records, and attorneys and law firms also needed to stay up-to-date on these changes in the law. When legal professionals needed access to the information, they requested copies and paid a fee for the service. Eventually, the court concluded it was inappropriate for the courts to engage in this for-profit activity, and proposed that the enterprise no longer continue under the auspices of the court. Griesgraber and Green got wind of this effort to privatize this vital service, and recognized the value of it. Here was an existing system satisfying an existing need for an existing market. Meanwhile, they knew of someone seeking a new business to run. A local accountant (full disclosure: the accountant for Opportunities in Business) had an underutilized office and an underutilized wife. The wife had the skill set to manage such a business, and they had asked OIB to be on the lookout for a business which would be a good fit. The wife-and-husband team bought the “business” for less than $50,000. They improved the systems by refining the collection and codifying the information, assembling it into a handbook for lawyers. Annual subscriptions were offered to the legal community, which responded positively: within a short time most law firms in Minnesota subscribed. Then they expanded to other states. Within seven years they had grown to 13 states. Ready to downsize their stake in the business, they asked OIB to sell about 80% of the states’ copyrights interests. OIB found qualified buyers and made the deal, netting well over a million dollars. They also sold the accounting practice. With OIB’s help, this talented team got into a fledgling business for a relatively small investment. In seven short years, they boosted the business value by a factor of over 20 times. When they were ready to step back from their project, OIB was on the job again, helping them capitalize on their investment. This entry was posted in Selling a Business and tagged business broker minneapolis, business broker Minnesota, business broker st. paul, business broker twin cities, business evaluation, Business for sale in Minnesota, Business for sale in MN., business value, Opportunities In Business, sell my business Minnesota, twin cities area on November 30, 2018 by Bob Griesgraber. CEOs have broad, big-picture responsibilities. While responsibilities will vary from firm to firm, CEOs typically rely on a number of division heads to manage the details while they take a wide, long-term view. 80% — that’s quite a margin. What fuels this success? 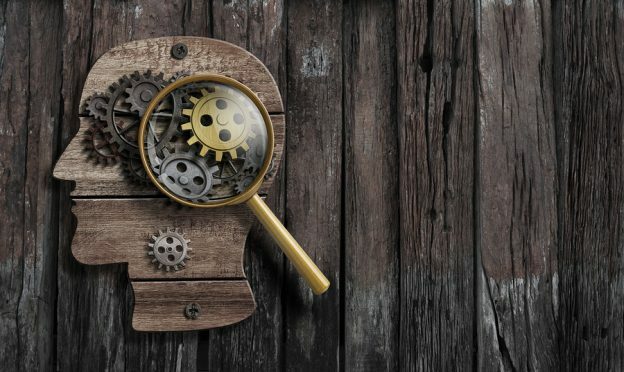 A CEO who takes a hands-on interest in monitoring the sales pipeline will be better positioned to predict revenue more accurately, and more effective at taking action to improve sales outcomes or revise expectations. Sustainable growth depends on both of these factors. Further, having firm numbers to reflect sales functions is crucial to attracting interest from venture capital. What Sales Number Does a CEO Need to Track? Every leader needs to resist falling down the rabbit hole of micro-managing, so what sales numbers does a CEO need to closely track? Michael Sala, managing director at private equity firm LLR Partners, identified four sales pipeline metrics CEOs should monitor in a recent article. What’s our average deal size? What’s our average sales cycle? How many leads do we need in the sales pipeline? Calculate the average deal size of your closed won deals over the last 12 months. Let’s say the average deal size is $50,000 and you intend to hit $2 million ACV. In July, the sales team would have to close 40 deals to hit the target. Asses the time it takes to move from creating a qualified sales prospect to actually closing the deal. Check out data from your CRM and calculate the average from the last 12 months. Apply that number to what’s actually in your sales pipeline to anticipate what is likely to close in the year. Once again, rely on your CRM to assess your past conversion rate. If your rate is 10% and you want to close 100 deals, you need 1,000 opportunities in the pipeline. This one’s a bit trickier, because it varies across different lead-generation channels. Client referrals might have a high conversion rate, while leads generated by automated emails might be a fraction of the rate. So apply the conversion rates channel by channel—you ARE tracking how you got your leads, right?—to calculate how many leads you need to get the conversions you require. By having a handle on these metrics, you demonstrate to potential investors and buyers that your revenue forecasts are based on facts and past performance, not wishful thinking. Keep an eye on these figures, and you’ll know when the pipeline isn’t supporting projections, at which point you can step in to correct the situation. When buyers have confidence your revenue is predictable, that translates into confidence in your business. When CEOs can state specific figures backed up by fact, they’re in a much stronger position than if they offer general ball-park figures. Even if you’re not focused on attracting investors, it’s still a valuable strategy for scaling up your business. If you’ve got questions about buying or selling your business or how a granular approach to sales can help increase your business valuation, please give us a call! This entry was posted in Selling a Business and tagged business broker minneapolis, business broker Minnesota, business broker st. paul, business broker twin cities, business evaluation, Business for sale in Minnesota, Business for sale in MN., business value, Opportunities In Business, sell my business Minnesota, twin cities area on November 15, 2018 by Bob Griesgraber. Let’s talk about the “commodity trap”: Basing your competitive position purely on pricing considerations. It’s the first step in a race to the bottom. While it’s true that price is often the top concern expressed by customers, it’s crucial to dig a little deeper. Bain and Company, a global management consulting firm, surveyed B2B consumers of IT infrastructure products. Their analysis, described in an article in the March/April 2018 issue of The Harvard Business Review, demonstrates that these B2B customers identified cost reduction as their stated priority, but their responses to a series of questions indicated otherwise. The 40 factors Bain cited represent a complex assortment of qualities which range from the very rational and objective (such as price and performance) to much more subjective and emotional factors (such as aesthetics, reputation and social responsibility). Bain grouped them into five categories: Table stakes; functional; ease of doing business; individual; and inspirational. Next, they assembled these considerations into a five-level pyramid in which strictly objective value forms the base and elements increase in subjectivity as they ascend the pyramid, in the style of psychologist Abraham Maslow’s iconic Hierarchy of Needs. Level two includes functional elements, and businesses often focus much energy here. These factors relate to economic or product performance needs, such as cost reduction and scalability. At level three, we start seeing subjective considerations. Along with objective goals like time savings, reduced effort, simplification, organization, we find subjective judgments from buyers, such as a good cultural fit and a seller’s commitment to the buyer. Level four is increasingly subjective, including elements of taste (appealing design and aesthetics), big-picture concerns (increased marketability or network expansion) and personal considerations (reduced anxiety). Level five crowns the pyramid with suitably lofty notions: Vision, social responsibility, and hope. As business brokers, OIB considers this information to be of prime importance. It is (or should be) a game-changer to parties on both sides of a transaction. If you’re selling a business, accept that savvy buyers recognize a business can’t thrive by simply dominating the bottom layer of the pyramid. You’ve got to work on identifying, quantifying and competing on the more subjective items in the pyramid. The good news is: This will make your business more attractive to buyers precisely because it’s a crucial strategy to build customer loyalty, so your efforts will be doubly rewarded. If you’re shopping to buy a business, do your due diligence. When evaluating a prospective business, study whether the executive team recognizes the importance of appealing to customers on every level of the pyramid. If a business settles for competing strictly on table stakes, they’re missing the boat. True, these elements are simple to measure and fairly transparent. It’s easy and tempting to simply compete on these, and they should not be neglected. However, today’s battle for differentiation takes place higher up the pyramid. Admittedly, it’s harder to evaluate a business based on those increasingly subjective and intangible factors, just as it’s harder to actively pursue them. The fact remains that they matter enormously to customers, so they should matter enormously to you. This entry was posted in Buying a Business, Selling a Business and tagged business broker minneapolis, business broker Minnesota, business broker st. paul, business broker twin cities, business evaluation, Business for sale in Minnesota, Business for sale in MN., business to business clients, business value, exit planning, Opportunities In Business, sell my business Minnesota, twin cities area on October 17, 2018 by kariswitala. When you put your business up for sale, you’re bound to attract interest from your competition. It makes perfect sense. They have a variety of legitimate reasons to be interested in your company. They may be hoping to benefit from your technology, your patents, your employees, your contracts, your existing market share. When they’re on the up-and-up, your competitors absolutely deserve consideration as potential buyers. However, there’s a risk that they’re not genuinely considering a purchase, but actually using your “for sale” sign as a spying opportunity. We’ve all been “looky-loos” at some time in our lives: popping into a neighborhood open house or test-driving a dream car. However, when your business is the product and the competition wants to metaphorically open the closets and inspect the basement, you need to make sure that they’re seriously considering the purchase, and that you don’t share privileged information with them until the deal is signed. Worst case scenario: Your hot prospect competitive buyer was only pretending interest, and they succeed in accessing information which makes them an even stronger competitor. Worse yet, if they successfully act on their new intelligence quickly, that might further hinder your ability to sell and command the price your deserve. However, since part of the diligence and buying process involves the sharing of potentially sensitive data, stonewalling your buyer shouldn’t be your go-to response. Treading carefully is essential. Here are some questions to consider. Do you even want your competition to know that you are trying to sell? This question represents the ultimate balancing act. There are plenty of strategic reasons to keep your intention to sell on the down low, especially in regards to your competition. In fact, unless they are good buying candidates, your business is probably better off if they don’t know. Make a list of your competitors and try to understand whether they’d consider buying your business a welcome opportunity. Use your insider knowledge to try to determine what they’d value most about acquiring you, and what they’d value least. Also, consider your existing relationship with them. If you’ve got a courteous relationship of mutual respect, there may be more reason to trust them. If things have been ugly in the past, don’t expect them to get better in the course of acquisition negotiations. How Can You Assess Whether They’re Legitimately Interested or Simply on a Fishing Expedition? Consider their track record. If they’ve got a recent history of acquisitions, their interest is more likely to be legitimate. If this is their first apparent foray into acquisitions, they might have darker motives. Similarly, a genuine buyer is likely to have a team or specialist devoted to M&A. If they don’t, that’s another potential red flag. How Can You Share Enough of the Right Information, Without Putting Your Business at Risk? If you feel a competitor is truly serious, treat it as a hot prospect but proceed carefully. First, be sure to obtain a mutual confidentiality agreement. Then request buyer background information before sharing further information on your business. This information exchange allows you to determine whether the competing individual or business has the capability to purchase your business and it also provides a good test of the competitor’s motivations. A competitor who’s simply fishing for information about your business won’t be interested in sharing confidential personal or business information and that alone will provide the answer to your question about how to rate the validity of the inquiry. Your competition can be a rich source for strong buying candidates. They may be willing to pay top dollar for a strategic acquisition, and the possibility of eliminating competition could be very attractive to them. A competitor may realize they can acquire you and eliminate many of your fixed costs thanks to an economy of scale, which means your business is worth more to them than to a non-competitor. However, the risks are considerable, so we urge caution. Evaluate them carefully and make sure you’re getting good advice from your own resources as you explore the prospect. Do you have questions about buying a business or selling a business, give us a call? We’re happy to help! We can be reached at 612.331.8392 or by email at info@oibmn.com. This entry was posted in Selling a Business and tagged business broker minneapolis, business broker Minnesota, business broker st. paul, business broker twin cities, business evaluation, Business for sale in Minnesota, Business for sale in MN., business to business clients, business value, exit planning, Opportunities In Business, sell my business Minnesota, twin cities area on September 10, 2018 by kariswitala. 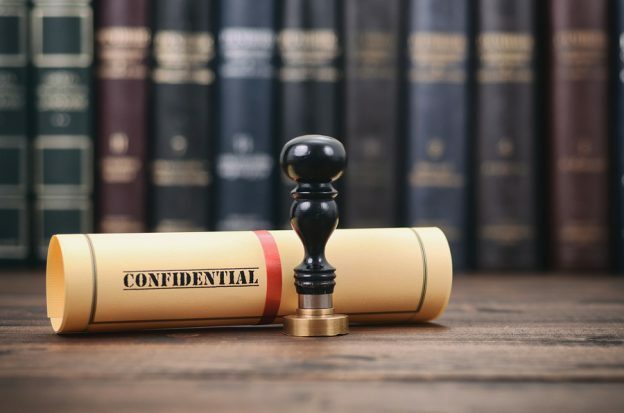 How can a broker help you maintain confidentiality in a business sale? When you decide you’re ready to sell your business you may have concerns about keeping the sale on the down low. If word about the sale gets out among creditors, customers, employees, competitors or vendors, it could trigger a host of negative reactions and unrest and could potentially decrease the value of your business at a time when maintaining its value is a top priority. The most secure way to navigate the sale of your business is to enlist a broker. Brokers have a number of systems in place to safeguard the confidentiality of your transaction. When advertising your business for sale, a broker will create a “teaser description” of your business. This description will contain enough information to pique the interest of potential buyers without revealing the identity of your business. After reading your teaser description, when a company or an individual express interest in moving forward in the purchasing process, the next step is to pursue buyer qualification. This means requesting financial information that demonstrates the potential buyer’s ability to secure the purchase of your business. Fortunately, your broker will navigate these waters for you. If the interested party is unable to provide a proof of funds then you are out nothing and the identity of your business is still under wraps. 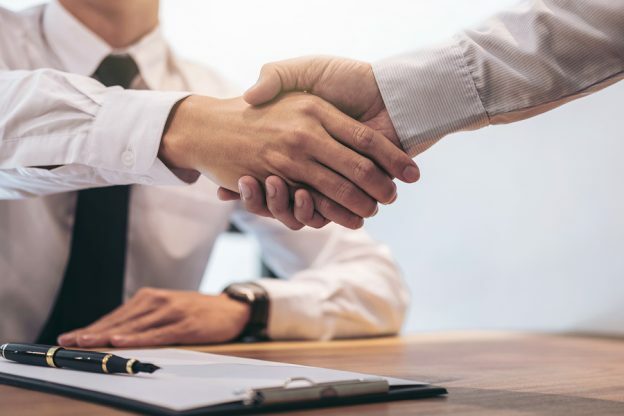 However, if the interested party demonstrates purchasing capability, you can confidently move forward in the process by entering into a confidentiality agreement. A confidentiality agreement is a document your broker will have on hand. Once you determine that the interested party is financially-qualified, they will sign the agreement. This signed agreement protects your business if they break confidentiality and it serves as a portal through which you can divulge your business name and other private company information. Throughout this time, your broker will encourage you to maintain open communication with your management team. They will also orchestrate meetings that include your upper-level management. Keeping upper-level management in the know will give them time to mentally prepare for this transition and it will demonstrate that you value them and recognize the value they contribute to your business. It can also help curb the internal spread of rumors regarding the sale. There’s obviously going to be a substantial amount of communication with prospective buyers about the sale of your business. Your broker will create blind methods of communication – email, phone number, voicemail… – as an easy way to protect the identity of your business. On account of the level of confidentiality required, holding meetings off-site is a smart way to avoid the rumor mill. Your broker’s office is a safe place to engage in private discussions regarding your transaction. The sale of a business can be challenging to navigate, particularly where confidentiality is concerned. Enlisting a broker to facilitate the transaction is a wise decision – one that will protect your confidentiality, reduce your stress level and provide immense value throughout your entire transaction. This entry was posted in Selling a Business and tagged business broker minneapolis, business broker Minnesota, business broker st. paul, business broker twin cities, business evaluation, Business for sale in Minnesota, Business for sale in MN., business to business clients, business value, exit planning, Opportunities In Business, sell my business Minnesota, twin cities area on June 22, 2018 by kariswitala. Finding a business to purchase apart from a business broker can be incredibly challenging. Selling your business on your own does not make sound financial sense. The amount of value a business broker provides outweighs the amount they charge in fees every single time. It’s important when navigating the purchase or sale of a business to carefully consider all aspects of the process – from finding or advertising your business to securing the right buyer to closing the deal – recognizing that a business broker can assist with each of these components. It’s also important when hiring a business broker to understand their fee structure amid common misconceptions. A standard fee your business broker will charge is incurred upon the sale of your business. This is called a success fee. This fee is typically calculated as a percentage of the final transaction price. For middle market transactions, the fee is anywhere from 2-5% of the sale price. Because this fee is only paid out when a deal closes, your broker will be highly motivated to close the deal, aligning their motivation with your own. In some situations, a business broker will charge a potential seller for a business valuation. If the seller then chooses to list with that broker the fee will be credited against the success fee at the end of the transaction. When a buyer hires a business broker to help them find a business to purchase, that buyer will likely incur a charge for the intensive search process. In some situations, a business broker will consider an alternative fee structure. In a case where the broker is representing the seller, it might be a flat fee up to a certain sale price and a percentage beyond that. In very rare cases a seller and broker might agree upon an hourly rate. It’s important to discuss the fee structure up front so everyone is on the same page. 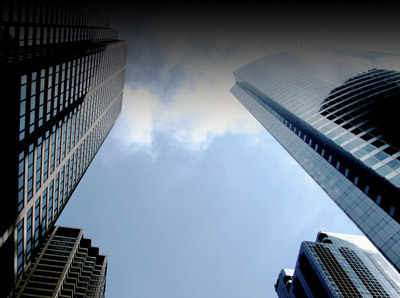 Business brokers provide tremendous value for their clients. Not only do they possess the resources that often help secure a business for their buyer to purchase or bring active buyers to the table for their seller but they also help navigate what can be a daunting and stressful process and are highly motivated to work hard on their client’s behalf. If you would like to learn more about the fee structure of business brokers or would like to speak with us about buying or selling a business, we would love to connect! We can be reached at 612.331.8392 or by email at info@oibmn.com. This entry was posted in Buying a Business, Selling a Business and tagged business broker minneapolis, business broker Minnesota, business broker st. paul, business broker twin cities, business evaluation, Business for sale in Minnesota, Business for sale in MN., business to business clients, business value, exit planning, Opportunities In Business, sell my business Minnesota, twin cities area on June 22, 2018 by kariswitala. 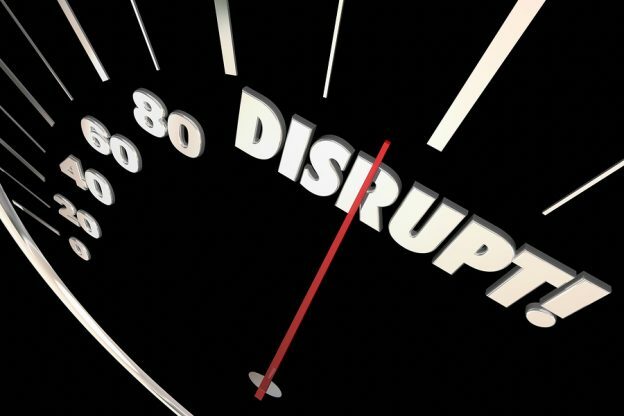 Disruption: it’s usually a script in which an innovative upstart overthrows an established firm. While it’s nothing new — fossil fuels disrupted the whale oil industry a few centuries ago — it’s now happening at lightning speed. Technology is partly responsible: As computer processing power grows exponentially, the realm of what’s possible broadens. Technology might be indirectly responsible in other ways, such as improving communication and making information available to the disrupting forces. Arguably, it may come down to offense vs. defense mentalities. The 800-pound gorillas of business are operating on a defense model: They’ve got lots to risk, so they can’t escape their vested interest in the status quo. Disruptors are on the offense: They’re smaller and nimbler, so it’s easier for them to change tracks. In a recent article on ChiefExecutive.net, editor emeritus J. P. Donlon considers the dynamics of disruption, and observes that the key to success for incumbent companies is their willingness to disrupt themselves. Digging into existing models and strategies didn’t work for Blockbuster — disruptors like Netflix were rewriting the playbook. It’s also worthwhile to examine the example of counter-intuitive disruptors: those who disrupt by returning to tradition. An over-simple illustration: Watchmaking was once the domain of a skilled echelon of craftspeople. Technology turned watch-making into a mass production factory endeavor, and eventually, companies like Shinola took the process full circle, hand assembling expensive timepieces in Detroit. Instead of trying to protect your traditional way of doing things, ask whether you can serve the customer better by disrupting yourself, and seizing the offense instead of playing defense. One of the great powers of social media is the window it offers on the customer experience. By actively surveying customers’ perspectives, you can understand their needs and what they perceive as shortcomings in the existing model. When was the last time you rolled-out a new product? When was the last time your business embraced change and did something innovative? Does your organization focus more on process than success? Are your management and executive ranks void of youth? When was the last time you entered a new market? Are any of your executives thought leaders? When was the last time you sought out a strategic partner to exploit a market opportunity? Do you settle for just managing your employees or do you inspire them to become innovators? Has your business embraced social media? When was the last time your executive team brought in some new blood by recruiting a major player star? We hope you enjoyed this article. 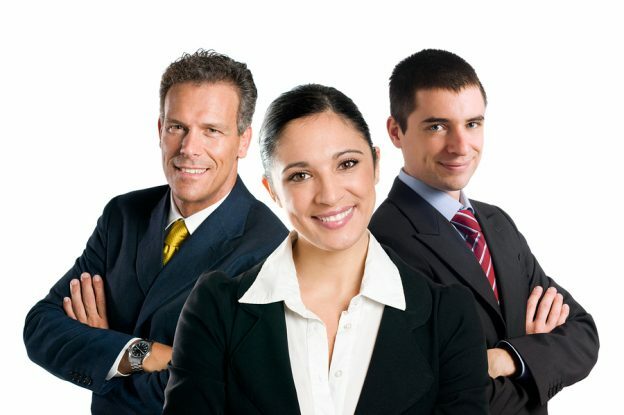 Learn more about our team of experienced business brokers! This entry was posted in Selling a Business and tagged business broker minneapolis, business broker Minnesota, business broker st. paul, business evaluation, Business for sale in Minnesota, business growth mn, business to business clients, business value, disruption in business, disruptors, minneapolis/st. paul, Opportunities In Business, Retail Business for sale, sell my business Minnesota, sell my company, sell my liquor store mn, sell my manufacturing company mn, sell my restaurant mn, sell my retail business mn, twin cities area on May 21, 2018 by kariswitala. 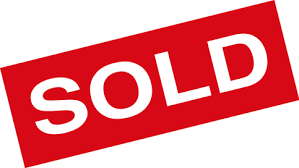 Pizza Café – 2 Locations – SOLD! 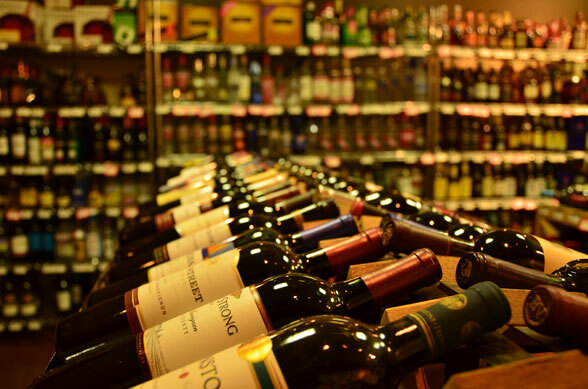 Off Sale Liquor Store, established in 2004.